A growing number of people have a connected device or three in their home, but don’t really want to trouble themselves with a home automation hub or sensors or programming a smart home. That kind of effort and expense is way too much when they just want to adjust their Nest from an app or play with their Philips Hue lights while listening to their Sonos sound system. These casually connected people are the target of a new breed of software from companies like Yonomi or Reach. The idea behind these firms and others is that customers can download an app and then control their devices from a single interface, maybe getting a little bit more from each gadget when you pull them together under that single app. 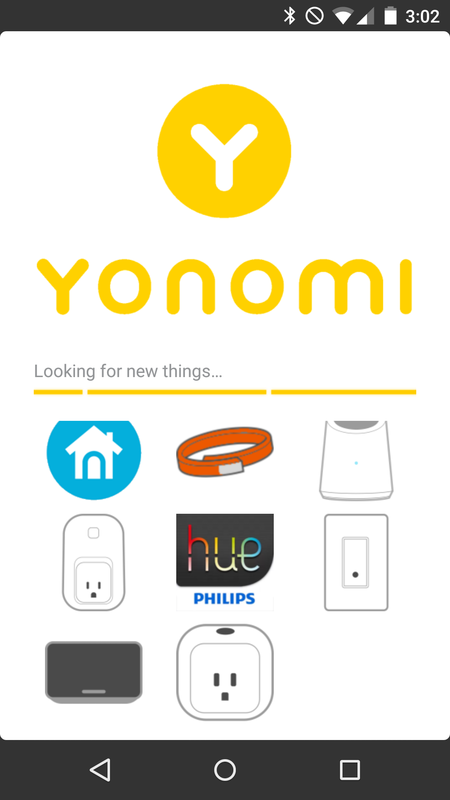 I tried Yonomi, a company that is based in Austin, Texas and in Boulder, Colorado since it’s actually out of beta and available for Android (it’s not available for iOS yet). The free app downloaded quickly and after a brief sign up process and clicking through a license agreement that basically said they didn’t want to keep my data (but that they did share it with partners), I was in. The app started looking for devices on my Wi-Fi network and it quickly found my Nest thermostat, six Sonoses, my Hue lights and a Wemo outlet. I connected my Nest and Hue accounts and then I was done. The first time I realized anything new was going on was after a phone call when I saw a notification that Yonomi was running the Phone Call routine. When I clicked the notification, I saw that the routine consisted of the app muting all my Sonos speakers for the call and then unmuting them when it was over. Nothing was playing, but I thought it was pretty cool. 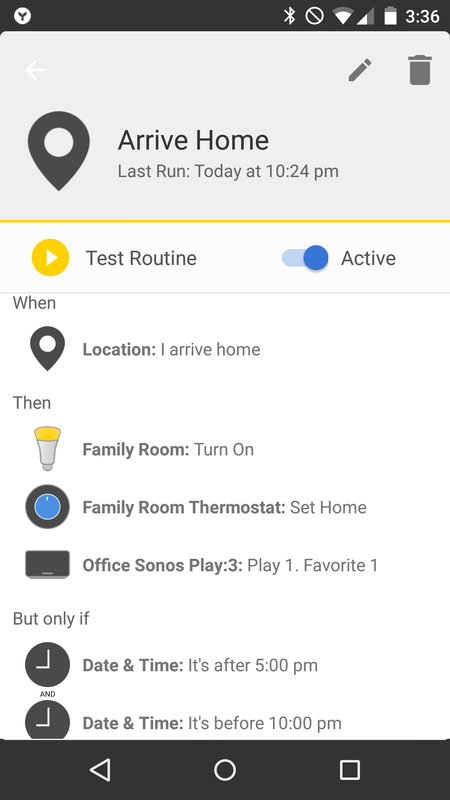 Other routines that were automatically populated on the app for me included a Welcome Home and Good Night routine. We’ll talk about Welcome Home, since it comes into play a bit later. That routine turns on the Wemo, which in my house has a lamp plugged into it and all my Sonoses say “Welcome home, Stacey,” and then they play whatever is in my Sonos favorite list at that time. It’s pretty cool, and its made cooler by the fact that I don’t have to do anything to program these. However, it was less cool at 12:30am on Saturday night when my phone apparently dropped offline for a bit and then hopped back on and triggered the Welcome Home sequence. It woke my husband and me up and we raced to turn of the music that was playing throughout the house, including in our daughter’s room, before she woke up. As you might expect, my husband was unimpressed. He has already called the Sonos greetings and good nights, “gimmicky,” and this was his breaking point. He asked me to delete the app. I didn’t, but I did go in, and take the Sonos in my daughter’s room out of rotation for any routines. That allowed me to do something I should have done earlier: I went in and edited my routines to make the Welcome Home routine only happen between 5 p.m. and 8 p.m. at night to avoid waking people up. I also took all the voice greetings off the Sonos in our master bedroom and bathroom so my husband wouldn’t be as irritated. In talking to Kent Dickson, the CEO of Yonomi, on this week’s podcast, we discussed the Wake Up glitch and how the company is fixing it, and how users can ensure that they don’t get a 12:30am Welcome Home wakeup call if they don’t want it. Setting parameters are one way, but on the Yonomi side, they are working on improving how the phone geo-fences to eliminate false positives. Dickson believes that the app should be as accessible as possible to people, so he doesn’t want to charge for it, and plans to consider revenue-generating options later. He wouldn’t disclose the number of users the app has after its six weeks of availability, although it has somewhere in the 1,000 download range per the Google Play store tracker. An iOS version will be out later, he said. A demo version of the Reach app shown off at Structure Connect. Dickson isn’t alone in his goals. 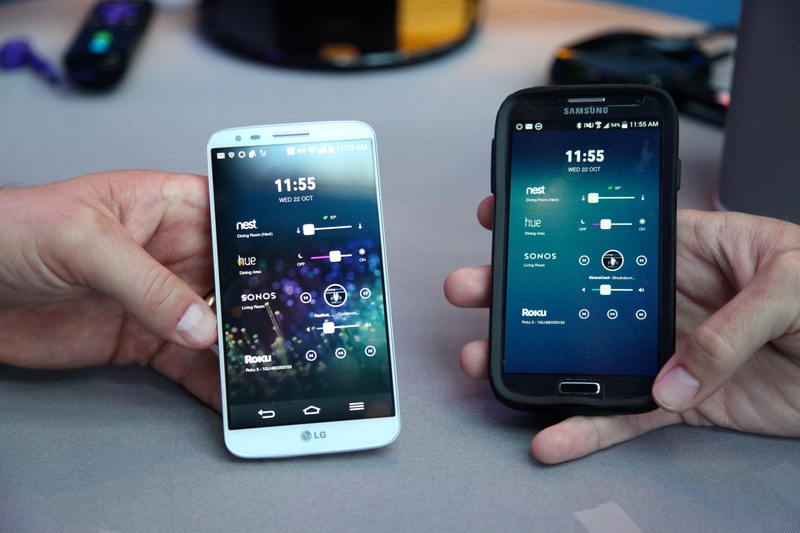 Last Fall at our Structure Connect event I saw an app called Reach that used the Android lock screen to control a variety of connected devices including the Nest, Hue lights, Sonos, Roku and more. I liked it because it’s always a bit of a pain to drill down into a connected home app to get to the device you want to control. It’s especially galling if you’re clicking through three or four screens to turn on a light that’s four or five feet away. The plan is to launch the Reach app in beta soon for Android. I’d like to see what options the iOS development community has in store outside of HomeKit, which will let people control individual devices from their notification screen, but may not offer ways to tie multiple devices together. Either way, it seems that we’re seeing some really interesting options out there for people who don’t want to buy a hub, but do want to control their connected devices and maybe even see if they can make them work together.